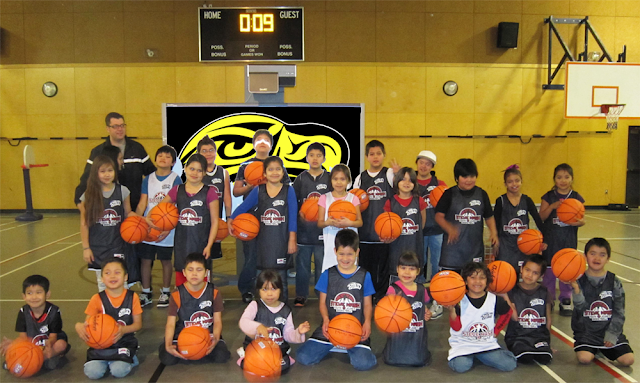 2012 - Jason Anson launches the Steve Nash Basketball program with the Nitinaht Hawks community basketball team. Cloud Technologies have revolutionized the way we collaborate using the Internet as a tool, but their potential has not yet been fully exploited by sporting organizations and coaches. In my iBook LTAD Kaizen, I will show you how to integrate current coaching philosophies and the progressive technological best practices of the future to design training programmes and monitor their effectiveness. The iBook covers a variety of topics that are all centred on the use of technology to improve one’s success in athlete development. I have been pursuing an NCCP Advanced Coaching Diploma, since an education is required to be a Sport Technologist in Canada. About the time I decided to commit myself to this career, (August 2011) I moved to a First Nations reserve. There I began a series of steps that I hoped would enable me to support the youth from that community to compete at major sporting events such as the North American Indigenous Games. 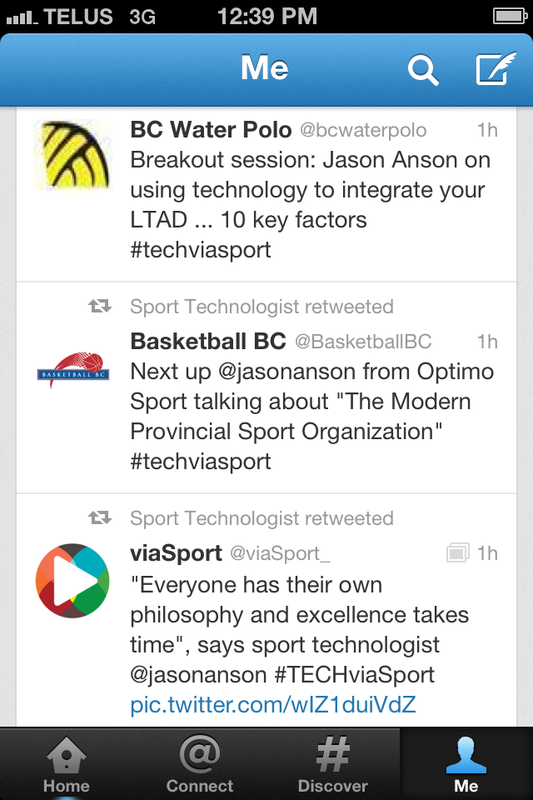 I also started to blog about sport technology news. I had no idea how either path would turn out! In January 2012, The youth of this isolated community were seriously into basketball and as a result the first thing I did was get Sirius satellite and play live Hip Hop Saturday nights in the gym during basketball sesions from New York. That was a positive step that connected me with the youth. Then I started videotaping them using Dartfish (a video performance analysis software) and showing them in the gym what they looked liked - which they loved. So technology bonded us early. We started down the path of basketball until I learned about their strong connection to paddling in the community. Those in the community who were most knowledgeable on cultural issues confirmed it would be the sport that would mean the most to their members to compete in at the Olympics. So the youth were pumped for basketball and the community wanted the canoe, both sports are in the North American Indigenous Games. This seemed like a good opportunity to use both as cross-training for each other. This raised a problem with the NCCP model which requires a coach to pick one sport and focus only on that sport with the athletes as well. But I wanted to show how a coach could combine Basketball and Canoe. I had also developed training software based on the Long-Term Athlete Development philosophy that would allow me to generate a complete portrait of an athlete’s training. At this point I had seven years of research and development in Performance Technology. If a “Sport Technologist” is defined as some who provides performance technology and education to sport organizations, I was lacking in the formal education department. It had also been difficult to find a group that would commit for a long period of time to a project that had yet to materialize. It seemed timely to combine my pursuit of an NCCP education - with my commitment to support the First Nations youth in sport. Given my technological expertise, I also hoped to identify ways in which the NCCP courses I was taking might be adapted to take fuller advantage of the technology available. The Sport for Life Society held their annual National Summit in Gatineau, QC on January 30-31, 2013. The Sport Life “architects” were asked “Can we make technology our friend?” and CEO, Richard Way answered, “we’re not fundamentally closed minded” and he went on to say: “it’s to figure out how, and the faster we can figure out how is the faster we can help address this issue”. 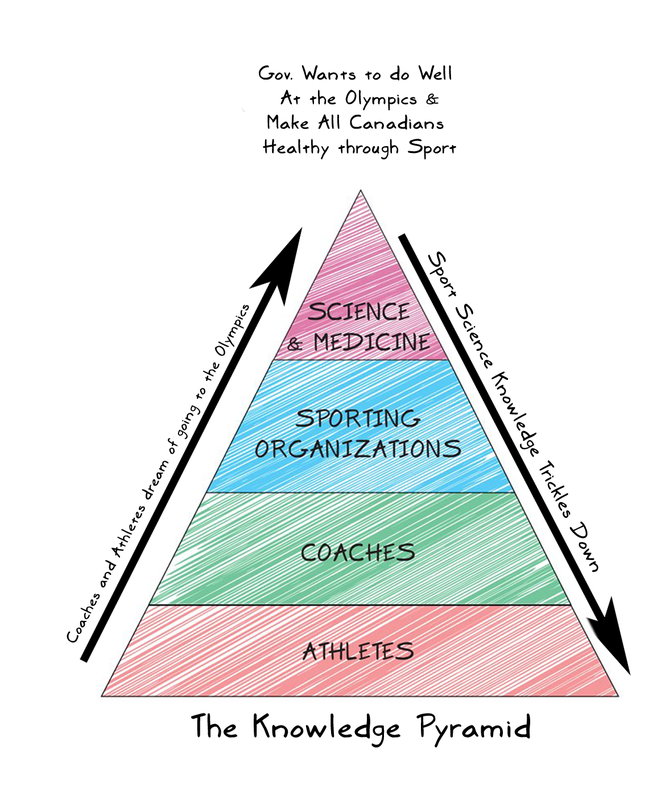 The Canadian sport system operates in a complex partnership program that has a top-down approach that hopes to trickle down sport science and medicine knowledge from Own the Podium and the Canadian Sport Centres (CSCs) to its members within its national sport organizations. 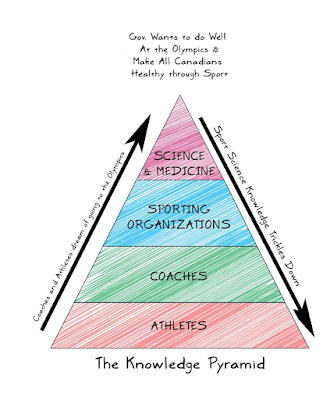 From the top each sport organization adapts its coaching education modules from the Coaches Association of Canada (CAC), who share a “Long-Term Athlete Development” (LTAD) philosophy developed by CEO, Richard Way and his group, the Sport for Life Society. Each Coach in Canada must be enrolled in the National Coaching Certification Program (NCCP) in order to work with their athletes in their sport. Sport for Life's Societies Long-Term Athlete Development (LTAD) philosophy faces continued criticism published in Sport Science Journals worldwide. I wondered, if technology could help Canadians solve some of its biggest problems at the time. A potential starting point for the Sport for Life's CEO Richard Way and his peers could be to examine the benefits of standardizing the measurements of a workout using my training optimization cycle theory. At the Olympic and Professional level, athletes are travelling, have on-site and off-site support staff and as a result - the correlation between mental and physical fatigue to peak athletic performance is extremely important. It could be key to success leading up to the Olympics. Not only does standardising the measurement of a workout benefit Olympic and Professional athletes, it could be valuable to all Canadians who participate in physical activity through organized sport. “It will allow us to know more about ourselves and our performances. Whether it’s performance in general life or performance in sport… There’s a great interest in learning about one’s self, by comparing yourself to someone else or just understanding how you’re doing...You’ll be able to really monitor how effective you are being and really what you’re doing with yourselves” - states Dr .Stephen Norris, Sport for Life. If Richard Way and his peers were to agree with me ie. ‘That there is value in standardizing the measurement of a workout’ and if my Training Optimization Cycle theory could satisfy Dr. Stephen Norris’ s ‘desire to measure the effectiveness’, Dr. Colin Higgs brings up a great point when he says: “If we’re looking towards technological solutions, we have to very, very careful that we just don’t increase the divide between the Have and the Have-Nots. Because therein lies a huge problem for us in the future”. LTAD Kaizen is a sport-specific case study documenting our attempt to apply the Sport for Life Societies LTAD philosophy using available technologies to support a team of First Nation kayakers on their quest to compete at the 2014 North American Indigenous Games. The scenario was a very challenging one. Not only are the technological and sport support resources limited within any First Nations community, but the individuals we were working with represented the ‘Have Nots’ within their own community. My hopes were if technological tools could be used successfully in this scenario, then they could be applied anywhere and in any sport. In a rapidly-changing world, I will prove that just being in the game is not enough, and that one’s success lies in being ahead of the game. 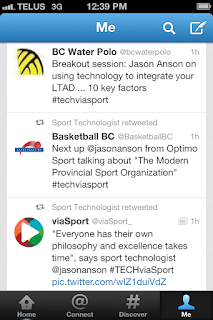 To do this, I started engaging members of the Virtual Alliance for Sport Technology (V.A.S.T.). As a start to determining if “we can make technology our friend””, I would engage and exploit the distributed knowledge of the diverse community of V.A.S.T members. Over three discussions, we determined the following outlines to be considered.